The majority of the information I found about the Babbage board was on a Korean web page entitled Freescale Semiconductor i.MX51 media briefing (translation). Although the translation does not mention “Babbage” exactly, it mentions “Baddage” twice (in the phrases “Baddage for SW Development” and “software development through the ‘Baddage'”). This is probably just an error in translation. The rest of the article follows Freescale’s i.MX51 description fairly closely. Also of note are references to Adobe Flash Player 10 for ARM, which Adobe is working on (this is a full Flash player, not Flash Lite). The translation reads “YouTube has a frame drop” and “flash player is still unfinished”, but suggests it will be “Completed before the launch”. The board also has some other connectors that seem to be non-standard ports for add-on boards which provide serial and possibly JTAG interfaces. If you know what some of the other ports might be, let me know by adding a comment to this post. While it is difficult to make out exactly which chips are on the board, it’s probably safe to assume that the largest chip is Freescale’s i.MX515 chip, currently the only chip in their i.MX51 line of processors. At the top is the Open Client and beneath is “a Freescale Reference Design for the i.MX51”, according to the forum post. This reference design looks identical to the previous Babbage board image, suggesting that this is the real deal. If you have more details about the Babbage development board, especially if you have worked with one yourself, please add a comment with your information. This board is an interesting peak into what we might be seeing inside ARM netbooks running the i.MX515 that should be ready “for the 2009 holiday shopping season” and cost around $200 (according to CNET). While reading the Jaunty Release notes I was wondering the same thing. Then a google search lead me to this post. Skytone announced the Alpha 680, a 533MHz Freescale i.MX31-based netbook with a 7-inch touchscreen that may well be the first Android netbook. Babbage refers to the guy inside Freescale that designed the reference board. That’s all it means. Actually, the name Babbage is derived from the inventor of the very first computer, Charles Babbage. Any updates about the babbage platform?? I am trying to buy a development board based on i.mx515 in van. Any help/pointers will be greatly appreciated. 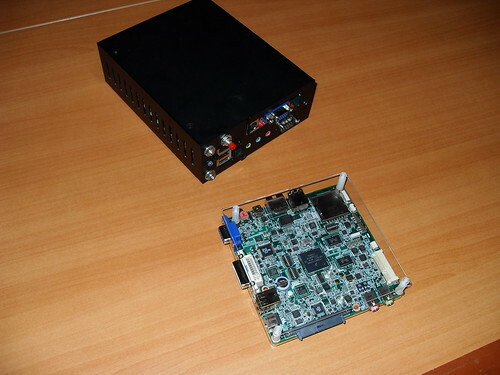 The efika mx open client (http://www.genesi-usa.com/products/efika) has an i.mx515 processor. They are shipping it with karmic. I got my freescale imx51 eval board from Freescale on order. It is 700$ and they will ship it in March 2010. I wish I new about the Genesi product. Hope Freescale never has to ECO any of the ARM cores for their MX SOC lines. They laid off the entire ARM team in Austin, ~30 engineers. This team provided the GDS for all MX SOCs. Guess they think Israel can do it, but guess again, there’s more technology than the Israel idiots can handle. Consumers, good luck on any ECOs and any next generation products. The product roadmap is false.